But I’m not here to talk about the great, beautiful gowns this evening. Oh, no. Because in my humble opinion, the 91st Academy Awards were all about the PANTSUITS. 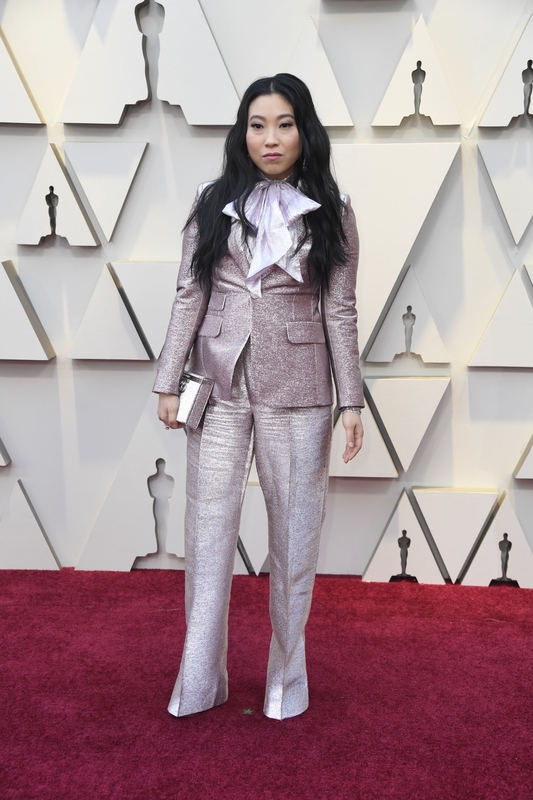 Awkwafina rocked a glittery, lavender pantsuit as she strutted the red carpet. Look at that power stance! Elsie Fisher proved that at 15 years old she’s cooler than all of us, with a simple black-and-white suit. 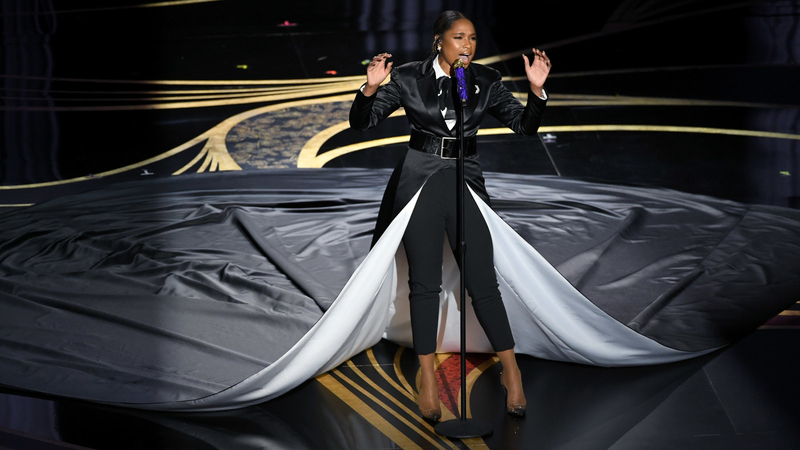 Jennifer Hudson wore a jaw-dropping pantsuit as she performed “I’ll Fight” onstage. 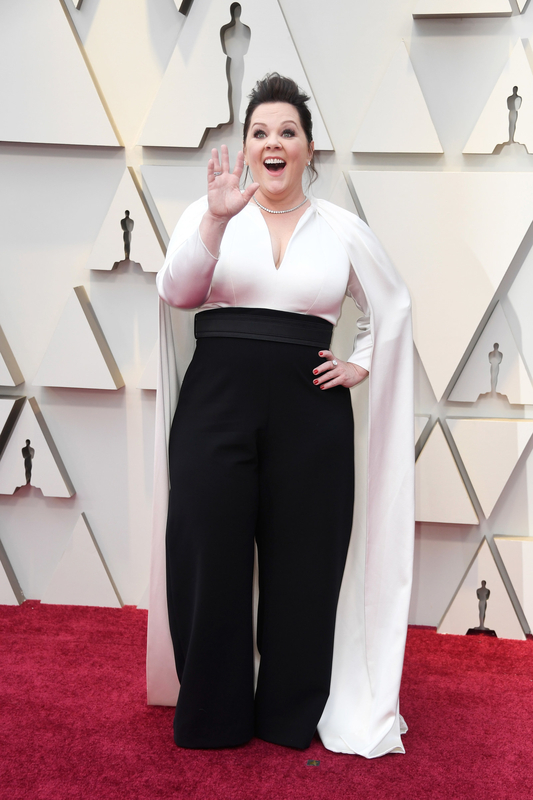 Melissa McCarthy’s pants-and-cape combo was instantly iconic. 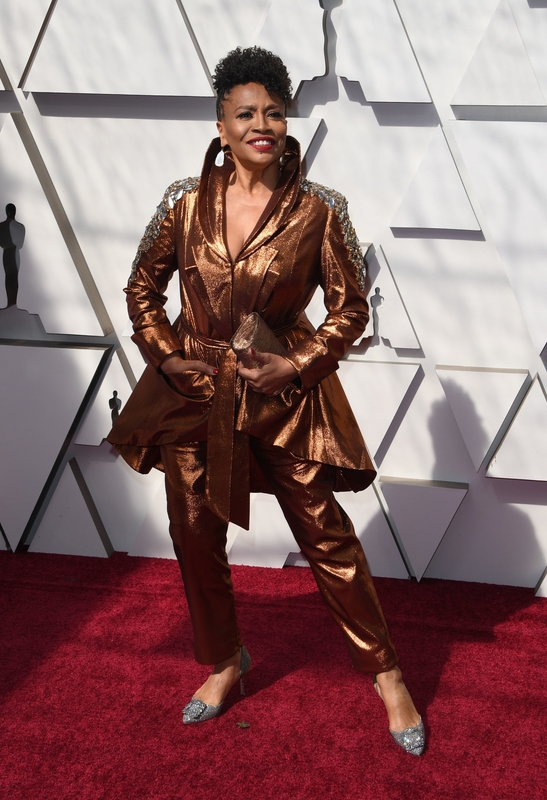 Jenifer Lewis’s copper pantsuit shined brighter than an actual Oscar statue. 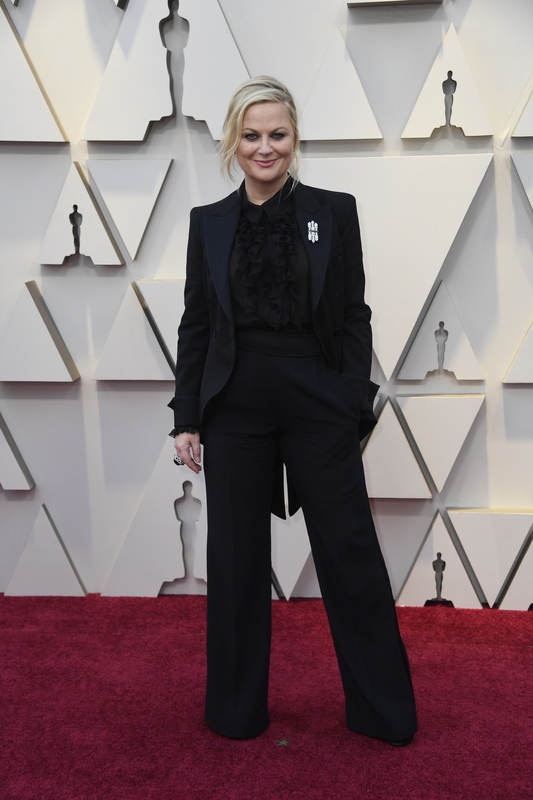 Amy Poehler walked the red carpet in a classic, ruffled black pantsuit that would’ve made Leslie Knope proud. 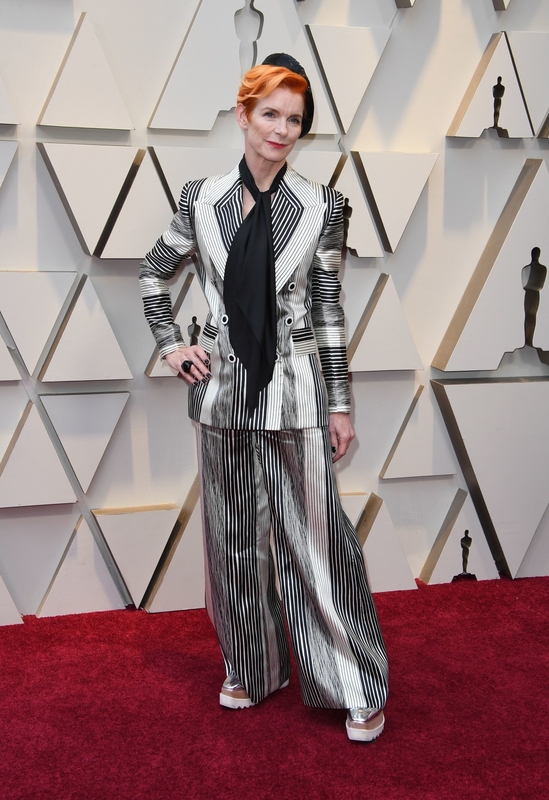 Sandy Powell — who knows a lil’ about fashion because she was honored with TWO costume design nominations this year — went for a striped pantsuit that looks like a work of art. 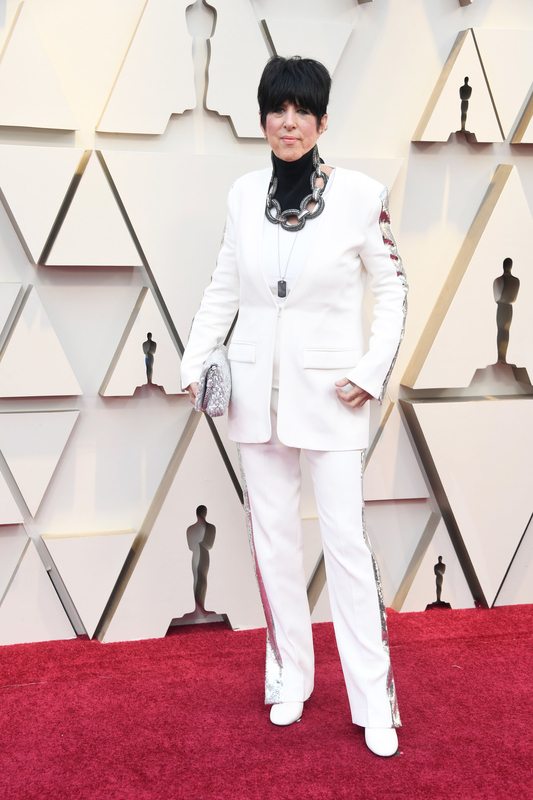 Songwriter Diane Warren’s white pantsuit with a big metal chain around her neck was a WHOLE ENTIRE mood. And Megan Mullally showed up the the Vanity Fair Oscar Party wearing this metallic leopard print number. WE STAN. May 2019 be the year of the powersuit. Amen.